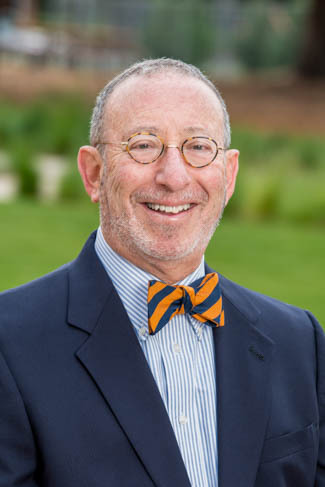 Peter S. Moskowitz, M.D, is the Founder and Executive Director of the Center for Professional and Personal Renewal in Palo Alto, California. My formal coach training was at the Hudson Institute of Santa Barbara’s Certification Training in Professional and Organizational Coaching. I was one of the first two MD’s to complete Hudson’s Coaching Certification Program. My success in coaching physicians relates not only to my top-drawer training experience, but also to my own personality and life experience. I am known by my clients to be kind, empathic, supportive, an unconventional thinker, fun to talk to, and funny. I can help you resolve issues relating to stress, burnout, career/life imbalance, and career transitions from a position of prior personal experience. I have transitioned from academic practice to private practice and back to academic practice successfully. I have transitioned from full-time private practice to part-time private practice, to part-time academic practice successfully. In the process, I reduced my clinical practice income by 70% and survived to tell the story. Along the way, I confronted my own professional burnout, revived a failing marriage, and learned how to manage my own balance for optimal health and happiness. Certainly you can learn from my career and life experience! My four decades of clinical work in both the private and academic sectors of American medicine not only inform my coaching work, but also help to explain my success with physician clients from all backgrounds. During my 19 years in private radiology practice, I worked with physicians of nearly every medical specialty, helping them manage patients. I understand where they are coming from. My 22 years in academic medicine at Stanford University have provided me with a keen understanding of how academic centers function, how decisions regarding faculty appointments and promotions are made, the many challenges facing students and trainees, and how intense the politics can be. The fact that I am still working as a physician part-time keeps me informed and up-to-date. When you make a decision to work with me as a client, you are making a decision to work with a seasoned, savvy, and experienced coach. If you needed complex brain surgery, would you pick someone who was only 6 months out of training? Think about it. I am the co-author of The Three Stages of a Physician’s Career: Navigating from Training to Beyond Retirement. (Greenbranch Publishing, 2017) and Medical Practice Divorce (AMA Press, 2001), author of five chapters in other books, author or co-author of more than 36 scientific publications. I write articles for and am interviewed by numerous healthcare journals and magazines on topics relevant to career and life management. I serve on the Editorial Board of the Society for Professional Well-Being, and I am a member of the American Counseling Association and the Edges Coaching Community. I am a pediatric radiologist trained at UCSF and Children’s Hospital Medical Center, Boston. Currently I serve as Clinical Professor of Radiology, Emeritus. I previously held appointments at Stanford as Assistant Professor of Radiology and Pediatrics, a Research Scholar of the James Picker Foundation, and was a recipient of the Agnes Axtell Moule Faculty Scholar Award. I have also been a partner and managing partner of a hospital-based private radiology practice group in San Jose, CA. 22 years in academic life and 19 years in the private sector of American medicine give me an unusually broad experience and knowledge of physicians and their practice and life challenges.